The University of Nevada appears in our ranking of the 10 Best ABA Master’s Degree Programs in the West. In Mack Social Science Hall, the College of Liberal Arts at the University of Nevada grants the Bachelor of Arts in Psychology: Behavior Analysis Specialization for University of Nevada-Reno undergrads seeking paraprofessional careers treating developmental disabilities. Chaired by Dr. Patrick Ghezzi, the 120-unit degree builds atop the Silver Core with courses like Brain Science, Child Psychology, and Radical Behaviorism at 20:1 student-professor ratios for BCaBA credentialing. Since 2000, the Master of Arts in Psychology: Behavior Analysis Specialization has followed a junior-colleague model of accredited BCBA preparation for developing modification tools. The 36-credit thesis program led by Dr. Ramona Houmanfar makes courses like Behavioral Assessment available in Reno, online via Canvas, or at satellites, such as Washoe County School District and Trinity Services. Lastly, the Ph.D. in Psychology: Behavior Analysis Specialization currently immerses 29 post-grads in empirical-based research furthering intervention methods. Directed by Dr. Anthony Papa, the 89-credit BCBA-D sequence includes paid 20-hour assistantships, practice in the Early Childhood Autism Program, and original dissertations. Note the M.Ed. in Special Education also offers a K-12 Autism Emphasis. The University of Nevada-Reno was founded on October 12, 1874, one decade after President Abraham Lincoln admitted Nevada into the Union, as the 36th state’s first college in Elko. Called Nevada State University, it used Morrill Land-Grant Act funds to acquire a 10-acre Reno campus in 1885. Declining once the Gold Rush ended, it was saved by a $1.5 million donation from miner John Mackay in 1907. By 1959, Dr. Charles Armstrong began its Desert Research Institute and the first doctoral degree. During the 1960s, the Psychology Department famously trained the chimpanzee Washoe to practice American sign language. 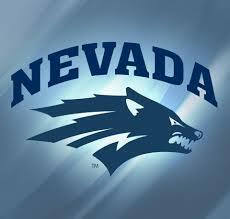 In 1969, the University of Nevada-Reno name was adopted to distinguish from the growing Las Vegas branch. Budgeting $226 million, UNR now connects 21,657 Wolf Pack, including B.A. in Psychology: Behavior Analysis students, with 86,832 alumni for 92 percent job placement. The U.S. News & World Report ranked Nevada the 201st best national university, 109th top public college, 131st best psychology department, and 95th top special education program. On Niche, UNR boasts America’s 94th best big campus, 274th best student life, 343rd top faculty, and 381st most student diversity. Times Higher Education placed the University of Nevada-Reno 358th overall. Forbes regarded Reno as the 153rd top research institute and 176th best value. The Center for World University Rankings positioned UNR 490th globally with the 384th most research influence. College Factual honored Nevada for the 208th best psychology program and 253rd highest-paid graduates. PayScale calculated the 320th biggest career ROI of $363,000 for University of Nevada-Reno alumni. The Social Mobility Index named UNR 124th for low-income learners. Washington Monthly also noticed Nevada for the 124th most science Ph.D. degrees awarded. On February 3, 2017, the University of Nevada-Reno received a reaffirmation letter from the Northwest Commission on Colleges and Universities (NWCCU) for passing the Year Seven Peer-Evaluation Report to keep Level VI accreditation under its 16th president, Dr. Marc Johnson, a Distinguished Eagle Scout Award recipient. Located 711 miles north via Interstate 5 in Redmond, this nonprofit seven-state Pacific Northwest accreditor is authorized by the Council on Higher Education Accreditation (CHEA) to check the quality of UNR’s 97 baccalaureate, 75 master’s, 56 doctoral, and 18 certificate options. Particularly, the Psychology Department is accredited by the Association for Behavior Analysis International (ABAI) through 2020. Continuously since 1972, the American Psychological Association Commission on Accreditation (APA CoA) has approved the Ph.D. Program. In April 2015, the M.Ed. in Special Education: K-12 Autism Emphasis passed the Council for Accreditation of Educator Preparation (CAEP) review too. Starting at the University of Nevada-Reno is labeled “moderately difficult” by Peterson’s since 8,557 of the 9,721 Fall 2017 applicants were victorious for just 88 percent acceptance. First-year Wolf Pack preying on the B.A. in Psychology: Behavior Analysis Specialization must finish an approved high school diploma, not the GED. Weighted GPAs above 2.99 are required with four units of English, three units of Math, and three units of Social Studies. Freshmen need a minimum 22 ACT or 1120 SAT composite score. Lower marks are deferred enrollment to Nevada NSHE community colleges. Undergrad transfers crushing the 2.5 GPA in 24+ non-remedial college credits then enter. Behavior Analysis M.A. entrants must complete a four-year bachelor’s degree with a 3.0 GPA and GRE General Test score over 300. The M.Ed. in Special Education: K-12 Autism Emphasis only admits licensed Nevada teachers who’ve passed the Praxis Exam. The Ph.D. in Psychology prefers 3.3 GPAs and GRE scores in the 75th percentile. The University of Nevada-Reno requests freshmen apply by the November 15th Early Action, February 1st Scholarship Priority, and April 7th Final deadlines. College of Liberal Arts transfers have until July 1st for Fall or December 15th for Spring. Master of Arts in Psychology cohorts must meet the January 1st cutoff. Behavior Analysis Ph.D. candidates are only considered until December 1st yearly. Accordingly, create a MyNEVADA account to submit the $60 ($95 if international) application online. Official transcripts are uploaded via Docufide or sent to Mail Stop 326 at 1664 North Virginia Street in Reno, NV 89557. Don’t forget the standardized tests, Nevada residency form, professional goals statement, one-page résumé, 2-3 recommendations, and teaching certificate if applicable. Please contact (866) 263-8232 or admissions@unr.edu for more specifics. For 2018-19, the University of Nevada-Reno is billing Bachelor of Arts in Psychology: Behavior Analysis Specialization majors $224 per credit. Non-residents pay an extra $7,236 fee each semester. Mandated expenses are the $93 Health Center fee, $94 Student Union fee, $45 Fitness Center fee, and $25 academic success fee. Unless waived, health insurance is $759 by term. Living at the Washoe County campus’ dorms like Peavine Hall adds $5,580 to $8,910 for room and board. UNR budgets $1,300 for texts and $4,370 for personal supplies. Annual bachelor’s attendance equals around $24,209 in-state and $38,398 out-of-state. The Graduate School charges Nevadans $5,698 and non-residents $20,170 for tuition and fees yearly. According to the NCES College Navigator, the Office of Financial Aid in Fitzgerald Hall delivers $69.02 million combined for 62 percent of UNR Wolf Pack to claim median assistance of $6,117. University funds include the Gignoux Memorial Scholarship, ASUN/Liberal Arts Scholarship, Bertha Miranda Scholarship, Barbara Bennett Memorial Scholarship, Studies Abroad Scholarship, Nu Alpha Kappa Scholarship, Kayoko Okumoto Scholarship, Wilter Ocampo Scholarship, and Neslihan Aybek Memorial Scholarship. The Presidential Scholarship gifts $1,500 to $8,000 yearly for freshmen with minimum 3.2 GPAs applying by February 1st. Bachelor of Arts in Psychology: Behavior Analysis transfers could claim $1,200 per semester from the Governor Guinn Millennium Scholarship. State-based programs like the Nevada Grant-in-Aid, Nevada State Access Grant, Nevada Bureau of Indian Affairs Grant, and WICHE Student Exchange help. FAFSA applications coded 002568 determine need for Federal Pell or Supplemental Educational Opportunity Grants. Prospective M.Ed. in Special Education: K-12 Autism Emphasis majors sometimes qualify for the $4,000 Federal TEACH Grant. Federal Work-Study jobs and assistantships also remit Reno’s tuition. Find more about the University of Nevada-Reno at the Psychology Department website.